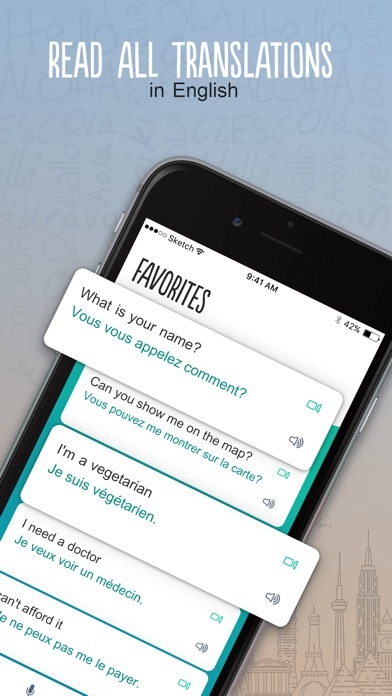 French Trocal is an intuitive language translation app utilizing voice and video lessons to help you make quick work of learning the essential and every day used French words and phrases. Instant audio and voice translations facilitate easy conversations. 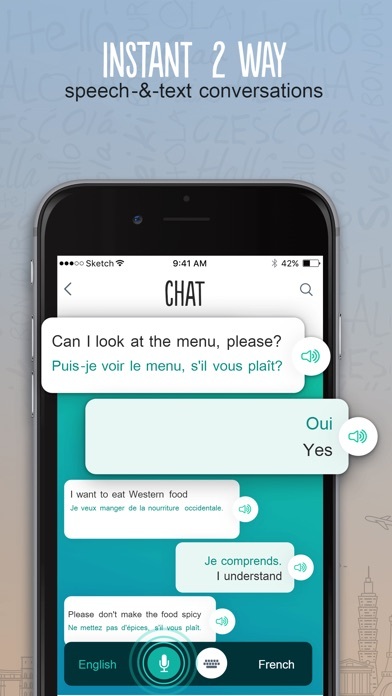 The French Trocal language app teaches you over 500 important French phrases and words so that when you drift by the Gorge du Verdon or you walk inside the Chateau de Chambord, you can express your awe in nothing but French! For each such phrase, there is video of a French native speaker clearly pronouncing every word, so that you can grasp and speak the language, as if it was spoken by someone who knew French all their life. Voice to voice translation make it very simple to have full fledged conversations with locals. 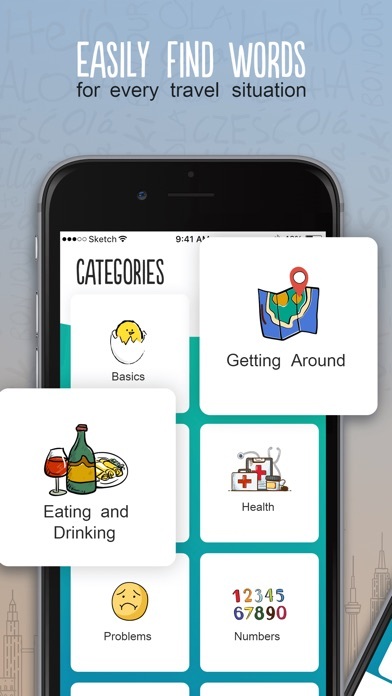 For you to have meaningful conversations, the phrases are grouped into categories for the most common travel situations including Getting Around, Eating & Drinking, Health, Problems, Numbers, Time and Date, Meeting People, Shopping and Money. 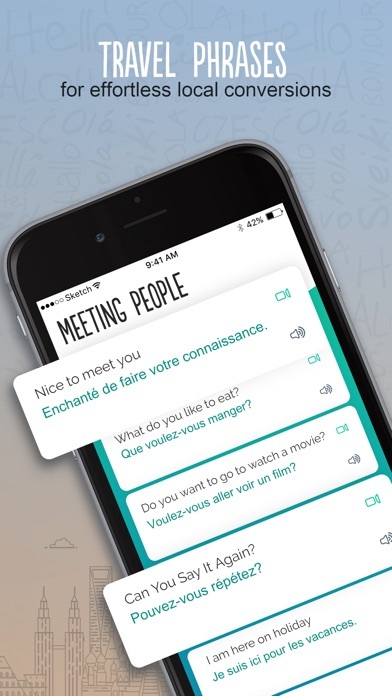 Other great features of the French Trocal app include the ability to playback each phrase in slow mode, mark favorites for quick reference and even copy the phrase to send via SMS or email to your friends back home! Au fait, French Trocal, apart from being a traveller’s best friend can also double up as a great learning tool for those who desire to start learning the basics of a foreign language in an easy, fast and fun way.